I recently heard that Purple Day for Canine Epilepsy was coming up soon. 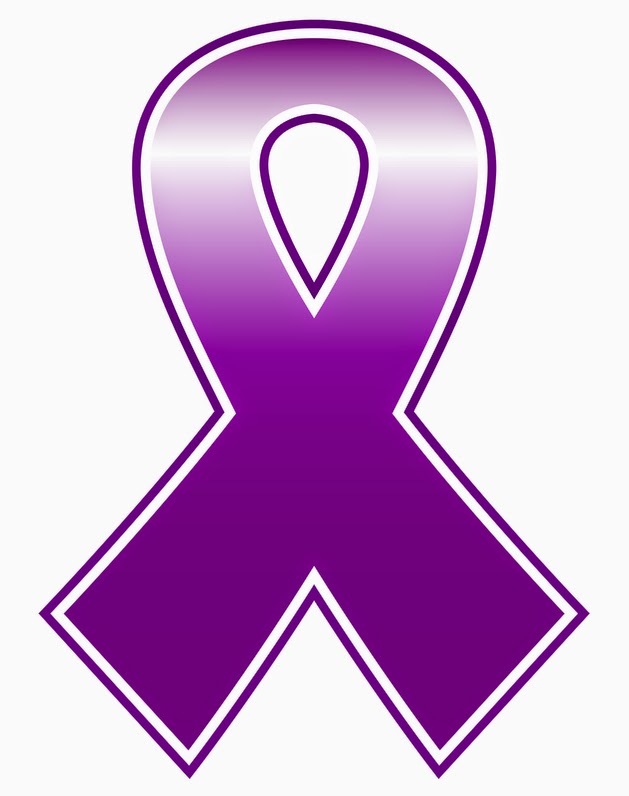 Today, March 26th, is National Epilepsy Awareness Day also known as "Purple Day". People wear the color purple to show their support for those who live with Epilepsy. Just like human beings, dogs can also have epilepsy. Over the years, I've met many "Epi-Dogs" as they are commonly called. At first, I helped care for them as a Vet Tech. 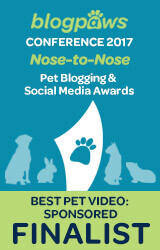 Now, as a Pet Blogger I've been fortunate enough to have virtually "met" some of these amazing Epi-Dogs. 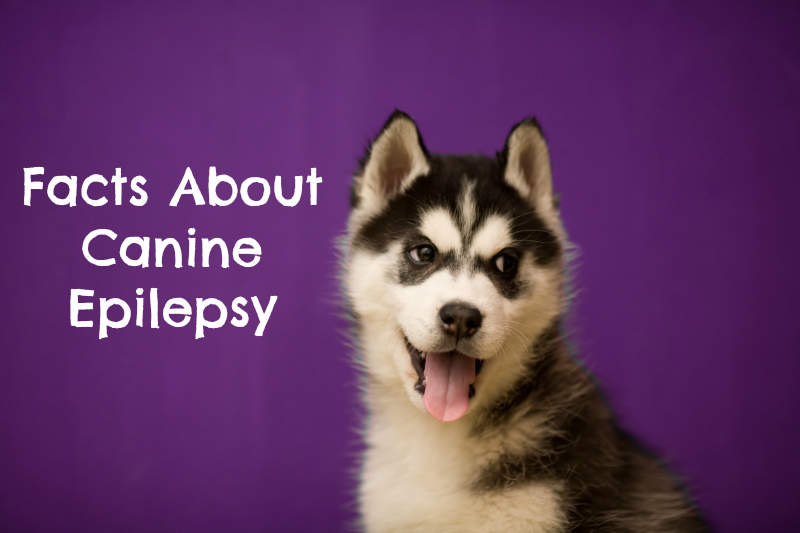 Canine Epilepsy is a brain disorder that causes sudden and uncontrollable seizures. There are two kinds of epilepsy - genetic and idiopathic. Genetic Epilepsy is passed down from one generation of dog to the next in their genes. Certain breeds of dog are more prone to Genetic Epilepsy than others. Idiopathic Epilepsy is caused by unknown factors. It's a highly unpredictable condition and is often hard to predict when or why a seizure might occur. There are some factors that are thought to possibly cause seizures in dogs like stress, weather, or a change in schedule. Many dogs live long happy lives with Epilepsy. It's not a curable condition, but it can be medically managed by your Veterinarian. What time did the seizure occur? What was your dog doing when the seizure took place? A description of the seizure - how severe was it? Did anything in your dog's schedule change that day? Did your dog eat anything different that day? You can include any other information you think could be relevant to your dog's seizure. A log like this can be very helpful in diagnosing and treating your dog's Epilepsy. Another helpful tool for your Veterinarian could be a video of a seizure taking place. If you catch your dog during a seizure, there are some things you can do to make sure they stay safe and as comfortable as possible. Make sure they can't fall off of a high place, like a bed or stairs. Talk to your dog calmly during a seizure. Try to remain calm when the seizure ends. Dogs can tell when you are nervous or upset and this can help them stay calm too. Try to prevent them from hitting their head on hard flooring or surfaces. Don't try to stop your dog's movements during a seizure. Your dog may urinate and/or defecate during a seizure. This is normal. Don't place your hand near your dog's mouth during a seizure. Dogs sometimes clench their jaws while having a seizure and could accidentally bite you. After a seizure, your dog might feel disoriented and thirsty. They may pace back and forth. 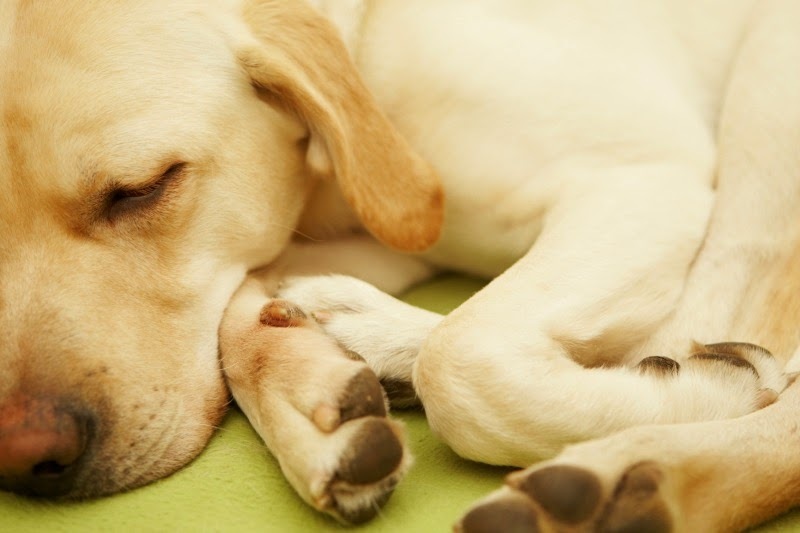 Some dogs could take as long as 24 hours or more to recover from a seizure and some dogs recover very quickly. Each dog is unique and no case of Canine Epilepsy is exactly the same. Mostly what I want everyone to know for Canine Epilepsy Awareness Day is that it's OK if your dog has Epilepsy. It's not the end of the world. Together, the two of you can get through this. Canine Epilepsy can be medically managed. There may be bumps in the road along your journey together, but you can get through it. Have you ever cared for an Epileptic Dog? Share your thoughts or advice with us! Very important things to do and not too. We count our lucky stars there is no ep here. Have a tremendous Thursday. Great post. Seizures are very scary to see, and it is a good thing there is some help out there even though there is no cure. This is excellent information, Ann. I will share it in hopes that it will help others. That sure is scary, but great information. This is cool to see a list of things to watch out for, in regards to seizure warnings for my dog. There have honestly been at least two times I that she was having a seizure. Now I can see how imperative it is that I get my dog to a vet as soon as I see these warning signs. 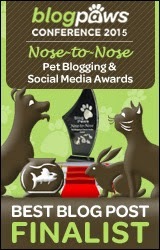 Another reason why I adore this pet blogging community. I learn so much - thank you for this post, I will share so more are aware. I've never met a rabbit with epilepsy, but know it's possible. And I remember you telling me about this before. 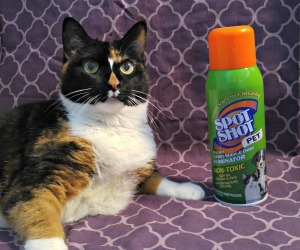 Lots of animals can have it, unfortunately. I met an Amazon Parrot and African Grey with epilepsy before. Seizures are scary and heartbreaking to witness. I'm glad you didn't give up on your bunny. Thank you for sharing this.